Trek through one of the toughest route here, with high climbing experience. You have seen grasslands, but the beauty of the same grassland amplifies itself, when they are at high altitude. Natural lakes on both the sides will make the view extremely pleasant for your eyes. 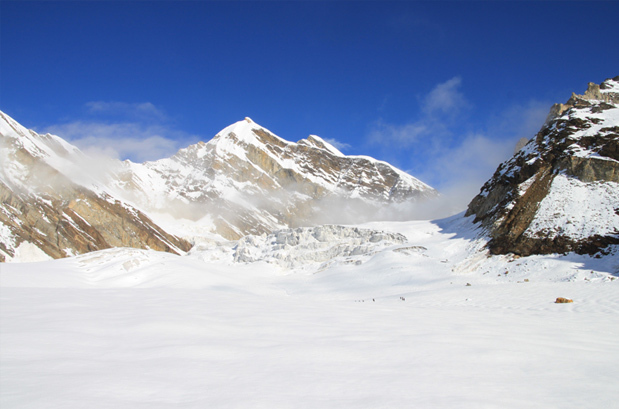 The close snow covered peaks and the Glacier of Bhilangana decorates nature goddess in such a way, that you will feel shy to take your eyes off. 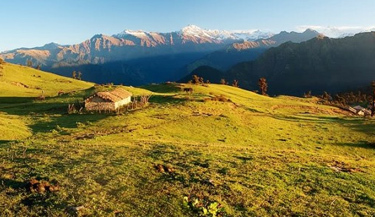 The trek route this time is through the Rudraprayag District of Uttarakhand. Lateral glacier in the form of Khatling is so gorgeous in view that uttering panoramic word for it will be injustice for nature goddess. Sahasratal and Masartal on both sides of the trekking route create a dreamy environment all around. However, the green grassy surface at hilltop is going to give a sensational experience, altogether. Climb high with a guide on this trekking route to experience the true beauty of nature and the history: Your climbing through the altitude will start from Uttarkashi. The route to Malla from there is through some of the local villages, where the side scenes are known to you. Although the view is common, yet the distant snowy peaks will make the overview even more pleasant and uncommon. Green carpet will be there, escorting you throughout the route from Malla to Kush Kalyani. This peak is named after the twin sons of Lord Rama, where the Draupadi Ka Danda will keep watching you from behind. In the next part of the trek, there are more presents for you. Route to Kyarki is filled with ridges. So the trek will not be too easy, but extraordinary view all around will not allow you to feel tired. In the route from Parital to Sahasratal, the route becomes even tougher, where numerous glaciers will show you their beauty, continuously. 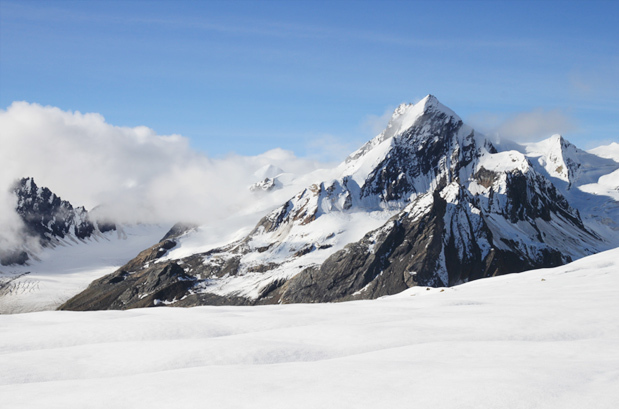 Experience snow and meadows laterally, you can reach Khatling Glacier through Tambakund. This part of the trek will be snow covered. In fact, this part remains under snow, almost throughout the year, except between July and September. In the route you will get in connection with Brahma Kamal, the divine flower, preserved by the lord of Mountains. The part that you will have to cover through the Kedarnath National park is a dense forest route filled with ridges. You will find nature there presenting you a different beauty, which you cannot stop admiring, even after reaching the plains. 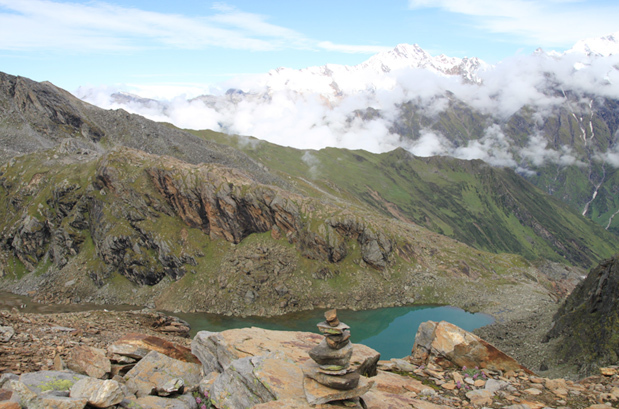 You can get a glimpse of the Kedarnath and the spots of other lakes. Lamented in snowy cover, they will seem to you as if they are sleeping in tranquility, on the lap of nature goddess. On the entire trek route around the Garhwal Himalayas, you will never find an area, which is free from any mythological explanation. In fact, all the stories of Lord Shiva and Devi Parvati, the nature goddess is in these ranges. Stories from the legendary epic, Mahabharata are also there, standing here and there in this snowy natural beauty. The reason of this mythological involvement is also quite clear. Nature here is so enigmatic, that whosoever will be attracted at this part. It is same as you are feeling now. Best time to travel to Masar Tal Lake via Khatling Glacier Trek is in summers (May – June) and Post Monsoon (September – mid October). Summers: The weather of Masar Tal Lake via Khatling Glacier Trek remains salubrious and pleasing during summers. The Himalayas are distinctly visible and the cool breeze adds charm to the vacation. Carry woolens with you. Post Monsoon: Serenity and solitude are at its best during post monsoon at Masar Tal Lake via Khatling Glacier Trek. The region is blessed with snowfall during winters. You can see the best of Masar Tal Lake via Khatling Glacier Trek during post monsoon as it looks like Heaven on earth. Where is the Masar Tal Lake? Small in size and colossal in beauty, the Masar Tal is a pristine lake, located on the eastern side of the snowy Khatling glacier. 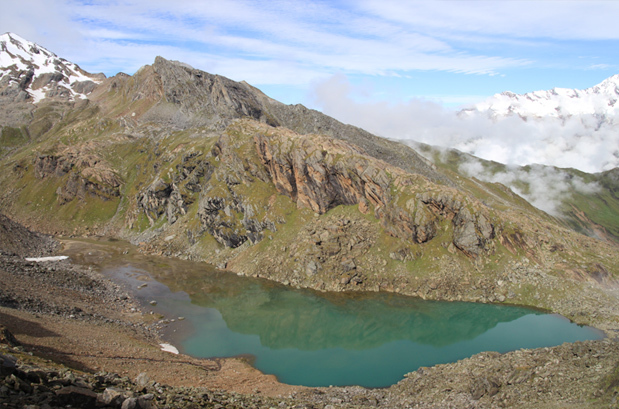 Nestled at an elevation of 4135 m, the lake can be reached by walking for 6 km from Chauki. The trek route passes through lush and verdant forests and green meadows, which are in their full bloom during the monsoon season. Early morning, catch an AC train at 6:50 am to Haridwar. Meet the tour guide, a short drive to Rishikesh and check-in to a hotel. Enjoy a relaxed evening in Rishikesh. Dinner and overnight stay will be at the hotel. Rishikesh is located at the foothills of Garhwal Mountains, by the bank of Ganga. It is a gateway towards the sacred Chota Char Dham Yatra of Uttarakhand involving the Dhams of – Badrinath, Kedarnath, Yamunotri and Gangotri. One can visit the famous Bharat Mandir (oldest temple in Rishikesh), Neelkanth Mahadev, or go to one of the several ashrams which are centres of meditation, sacred prayers, spiritual studies and yoga. Post breakfast, move towards Uttarkashi, which is some 5/6 hours away. At Uttarkashi, check-in at Shikhar Nature Resort. Have lunch and then visit NIM (Nehru Institute of Mountaineering) Institute & Museum. Uttarkashi is a gateway to several mountaineering and trekking adventures in the Gangotri region. Night stay at hotel. Breakfast and then a 25 km drive towards Malla. From here commence a 9 km trek to Sillachhan with packed lunch. It is an uphill trek, so needs more efforts to climb, but care should be taken to not to overexert. Be gentle on yourself, as it's just your first day of trekking. Sillachan (Silla Chhanis) are the makeshift homes of cow herds of the bordering villages. Dinner and overnight stay in tents. After breakfast, starts the trek towards a beautiful green meadow called Kush Kalyani. It is located on the upper side of the mountain and possesses undulating land area which is fun to trek. The Kush Kalyani Bugyal is named after Lord Rama's son Kush. Background of the meadow is created by the Draupadi ka Danda (Draupadi's mountain) and the Jonli range of mountains. Dinner and night stay in the tents. Take breakfast and begin the trek to Kyarki Khal (pass). The trail goes through lush green meadows, waterfalls, beautiful flowers and scenic views of the surrounding peaks. We will climb up for about 2.5/3 km in the beginning, which will be followed by a descent of about 5 km. Reach Kyarki Khal. Dinner and night stay at the camps. After breakfast, trek to Parital via Kyarki Bugyal. Several ridges will come in our trekking route. The Kyarki meadow looks yellow in summer as the tall grass cover changes its colour. Reach Parital. Pari means fairy and Tal means lake. As per a legend, in Satyug, when the gods used to wander in this area, fairies would try to please them by dancing near the lake. That is why the lake is called the Parital (Fairy's Lake). Lake is small and simple but it is enveloped with beautiful natural scenery. Dinner and night stay in the tents. Post breakfast, start the trek towards Sahasratal via Taddiudyar with packed lunch. First part of the trek involves ascending for about 2.5/3 km, followed by a downhill trek of some 4/4.5 km. Reach Sahasratal ('thousand lakes). The enchanting lake located on the western end of Khatling glacier looks divine. Besides its own beauty, the lake also provides a great panoramic view of the Himalayan peaks and glaciers (such as Jogin group, Meru and Kriti Stambh glaciers). Dinner and night stay in tents. Set out to Kalyani in the morning after breakfast along with a packed lunch. Sahasratal is perched on the mountain while Kalyani is situated in a valley. We need to climb down through a trail which includes a ridge, possessed by dense forest. It is very difficult to find one's way over here, without a professional guide it is easy to get lost. Reach the base camp. 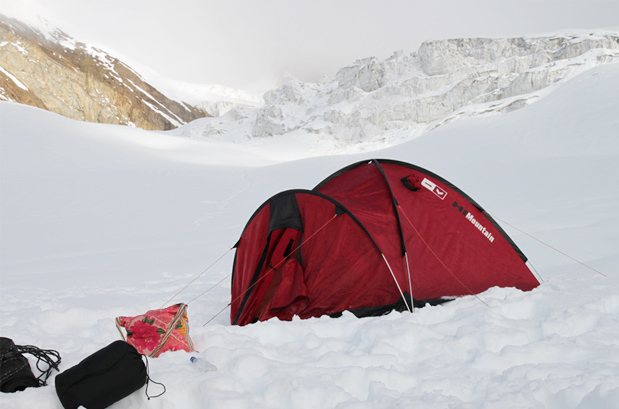 The camp site is small and the ground is uneven, but it can accommodate about 20 tents if the space is fully utilized. Water source is located close to the camps. Night stay in the tents. Start the trek towards Kharsoli passing through Biroda with packed lunch. Way towards Kharsoli passes through small meadows and clusters of stunted trees of rhododendron and birch. Various kinds of flowers will welcome you all along the route. Kharsoli used to be a very beautiful meadow, but now it has been strewn with boulders. Once a stream changed its course and started to flow through the middle of the meadow. The stream dried but left its bad marks in the form of boulders. The camps are pitched over an irregular surface on a ridge top at Kharsoli. Dinner and night stay in tents. 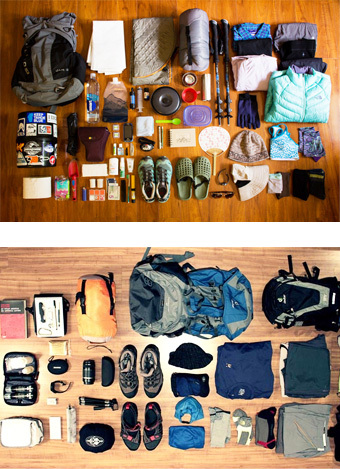 Begin the trek towards Tambakund with packed lunch. 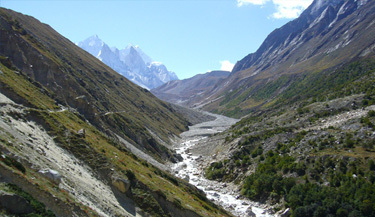 Various glacier-fed streams can be seen all through the trek. The trail goes through meadows and dense vegetation. On the opposite side of the valley one can see steep sloped mountains with several streams and waterfalls. Coming to the river bank, we start our upward climb. While going up, at one side will be a lofty mountain and at the other a tall ledge. The ascent continues, and after some time appear land-slide hit, tree-less mountains in the way. We need to tread very carefully over this area after which we will reach our destination – Tambakund. Dinner and night stay in tents. 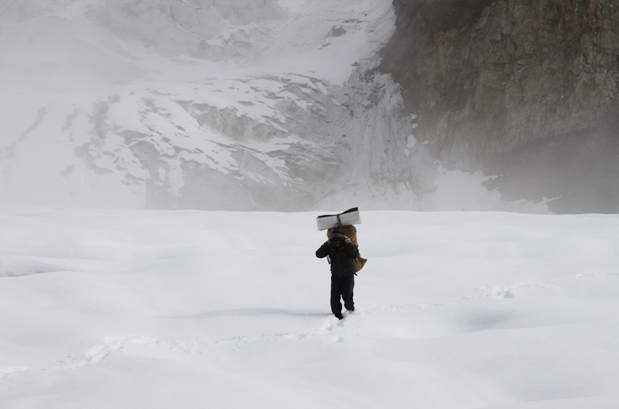 Get on a 3 km trek to Khatling Glacier along with packed lunch. 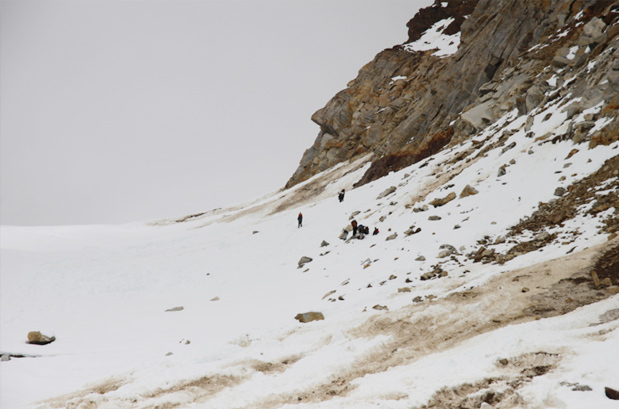 One can go only up to 'Zero Point' at the Khatling Glacier; a further trek of 500 metres can be undertaken. But for a thorough tour of the glacier one requires at least 2 days. Climb down for about 2 km till the river bank, then cross the river through a makeshift wooden bridge made by local shepherds. Every year, the monsoon sweeps away the bridge and a new one is constructed in its place, without any government help. After an ascent of 2/2.5 km we reach Chowki which is a pleasant meadow with green grass and wild flowers. The legendary flower 'Bhrama Kamal' is also found here. Several sheep would be seen here along with their shepherds. Chowki comes under the Kedarnath National Park. Dinner and night stay in tents. Start the trek to Masar Tal in the morning. The trail will remain uphill till we reach our campsite. As a consolation, the vistas of the surrounding peaks and Khatling Valley will get better as we advance in our trek. The bluish-green Bhimtal Lake can also be seen beautifully gleaming below. 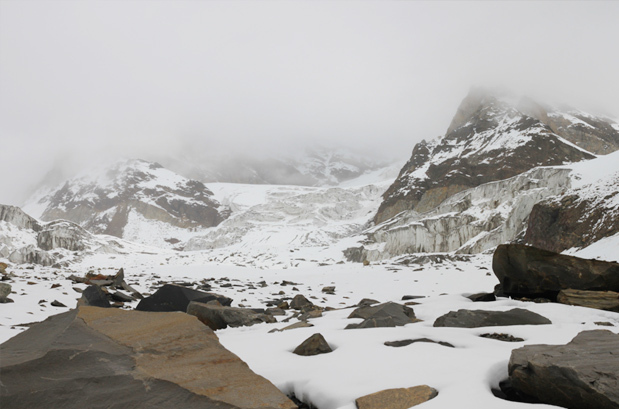 Doodhganga River flows from the glacier, appearing just like its name suggests, as white as milk! Going further, Khatling Glacier comes to view. A small area is chosen for setting up of the camp near the Masartal. Dinner and night stay in tents. Begin for Vasuki Tal via Mayali Pass (5,400 metres). 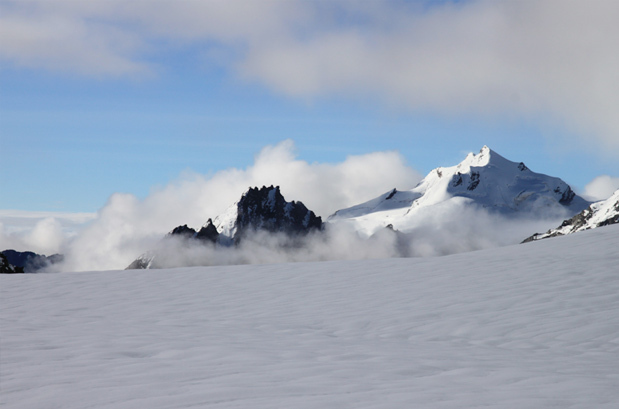 Mayali glacier needs to be crossed to reach Painya Tal and Teen Tal. The lakes are about 1 km apart from one another, but bring a difficult terrain filled with boulders and loose moraine. Vasuki Tal comes after these two lakes. 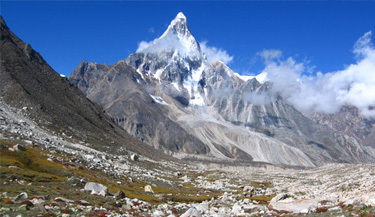 Vasuki Ganga originates from Vasuki Tal and later merges with Mandakini at Sonprayag. 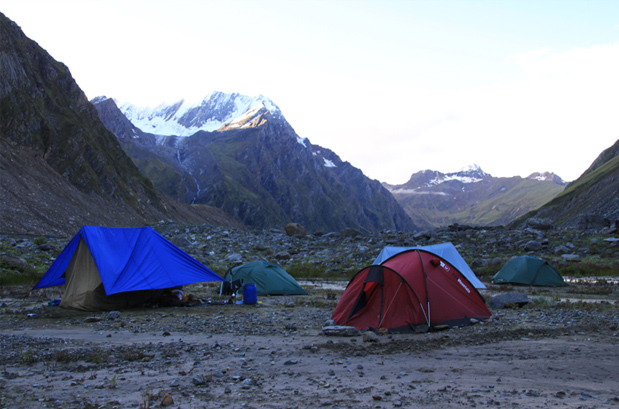 Camp will be set by the side of the picturesque Vasuki Lake, which has got snow-covered mountains as its backdrop. Dinner and night stay in tents. Start a downward trek to Kedarnath along with a packed lunch. Only the initial 2 km till Vasuki top involves a steep climb, after that the rest of the 6 km consists of continuous descent which concludes near the Kedarnath Bazaar. From Vasuki top one can distinctively see the Kedarnath Peak, Kedarnath Temple, Meru Parvat, Sumeru Parvat and Manda parbat. Kedarnath Temple is the abode of Lord Shiva and one of the 12 Jyotirlingas. The structure of the temple, being constructed at such a great height, is absolutely brilliant. Dinner and overnight stay in TRH (Tourist Rest House)/guest house. Post breakfast climb down towards Gaurikund with a packed lunch. Gaurikund is believed to be the place wherein Goddess Parvati (or Gauri) meditated to win Lord Shiva as her husband. In Gaurikund one can visit the famous temple dedicated to Goddess Gauri. Drive towards Rudraprayag. Dinner and night stay in hotel/ TRH. In the morning, take a holy bath at the confluence of Alaknanda and Mandakini at Rudraprayag. After breakfast, start the drive towards Haridwar. Board the evening AC train for Delhi. Reach Delhi at 22:45 hrs. When to book Masar Tal Lake Trek via Khatling Glacier? You should book Masar Tal Lake via Khatling Glacier Trek well in advance (at least 4 month prior) advance so that you get ample amount of time to prepare well for the trek. Our pick up and drop point for Masar Tal Lake via Khatling Glacier Trek is New Delhi train station at platform no. 16. We will send you the train ticket and you can board train from there to Haridwar. At Haridwar our guide will pick you from train station and then from there your tour will start. 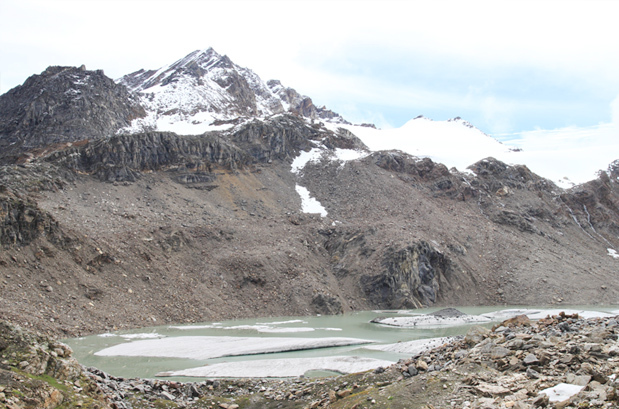 What is minimum age required for Masar Tal Lake Trek via Khatling Glacier ? Masar Tal Lake via Khatling Glacier Trek is a challenging trek with a maximum altitude of 16400ft (5000m) minimum age required is 18 years. What will be the minimum temperature during Masar Tal Lake Trek via Khatling Glacier ? How long we trek during Masar Tal Lake Trek via Khatling Glacier ? Additional hotel stay and food charges may apply in case the trip extends due to unavoidable reasons.